Stuart Baxter will be hoping for a repeat performance from Bafana Bafana against Seychelles, but the former Kaizer Chiefs coach admits that the artificial pitch at the Stade Linte could provide a new challenge. South Africa secured a record 6-0 victory against the Islanders in the first leg to move them to top spot in the group ahead of Nigeria, Libya and Seychelles. 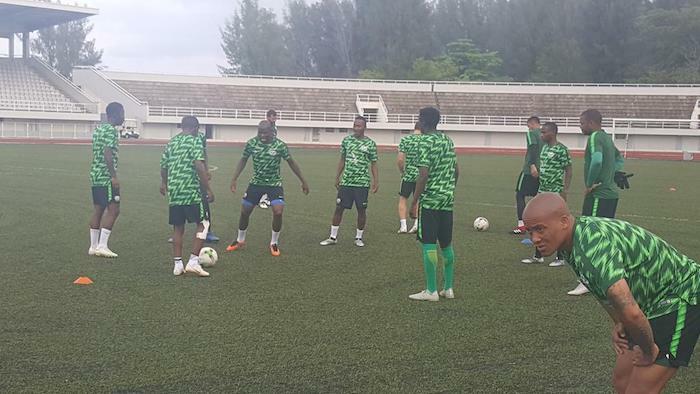 Baxter will be hoping to inflict a similar thumping on the minnows, however he has cited the difficulties which come in having to play on the artificial pitch, citing a conversation he had with Super Eagles mentor Gernot Rohr. ‘I spoke to the Nigerian coach (Gernot Rohr) when we were at the Fifa awards in London and he said their pitch (Seychelles) is not the nicest to the player. ‘He said that the ball‚ when it came down‚ was bouncing as high as it was before. So it will certainly be a difficult game. We may need to tweak our tactical approach. ‘But I think if we show the same passion to get on the ball and play and move them about‚ I think we can do that on any surface. ‘This victory (against Seychelles on Saturday) gives us more optimism that we are on course. I hope it encourages the public that we scored six goal regardless of who we were playing against,’ he added. Despite Seychelles hardly getting a sniff at goal in their encounter at the FNB Stadium on Saturday, Baxter insists that it will be a different game in Seychelles’ own backyard. ‘I will tell you what‚ they created two massive chances against Nigeria at home (when they lost 3-0 last month). ‘They tried to play and they were better on their pitch. So I think they would be hoping that the first 15 minutes at their place would see them having the ball a lot and us struggling. ‘If they are buoyed by that‚ they will think if they can create a couple of chances and defend a little better‚ than they have a chance. ‘But it’s up to us to kill that optimism and we got to do that. ‘We’ll have to see what mistakes Nigeria did and we have to decide how offensive we’re going to be. But I don’t think there’s any real reason for us to sit back,’ he concluded. The two sides will do duty with kickoff set for 3:30pm.